The Redmi Note 6 Pro has a tough task on its hands, considering how immensely successful the Redmi Note 5 Pro was. But it seems to have the basics well in place, with critical upgrades, to enable a smooth succession. Xiaomi pretty much hit the sweet spot with the Redmi Note 5 Pro. The looks, the performance and the price—all seemed to be working in sync. The net result, it was the best-selling affordable Android smartphone, quarter after quarter. But as with most things, the successful era of the Redmi Note 5 Pro must give way to something new. Right on cue is the Redmi Note 6 Pro, and from what we have experienced, Xiaomi has kept the ingredients pretty much the same. But also made improvements at the same time. The Redmi Note 6 Pro is more of the same, yet different. Look at the phone for the first time, and the resemblance with the predecessor is very apparent. That is a good thing, because it continues the familiarity aspect and well, why change something that works well already. The back panel and the overall design feel great to hold, despite the slight increase in dimensions. The Redmi Note 6 Pro is made from the Series 6000 aluminum, which is a highlight in a price band where phones still rely heavily on plastic. The new phone looks taller than its predecessor, but actually isn’t. That visual element is because of the new display, which is taller (or wider if you hold the phone in landscape mode), and the bezels have been completely shaved off as well. for all the newness, the Redmi Note 6 Pro weighs just 1 gram more than the predecessor—tipping the scales at 182 grams. It is now a norm to offer colour choices, and the Redmi Note 6 Pro will arrive dressed in black, blue, red and rose gold—though Xiaomi have dropped the gold from the line-up, for the moment. A lot of potential buyers will perhaps find it a bit odd though that Xiaomi has still retained the micro USB port and not made the switch to the USB Type-C. Familiarity taken a bit too far, perhaps? The 5.99-inch display has made way for a taller and larger 6.26-inch display—and this has the 19:9 aspect ratio. The resolution has been upped to 2260 x 1080 pixels, while the 403ppi pixel density figures remain the same. 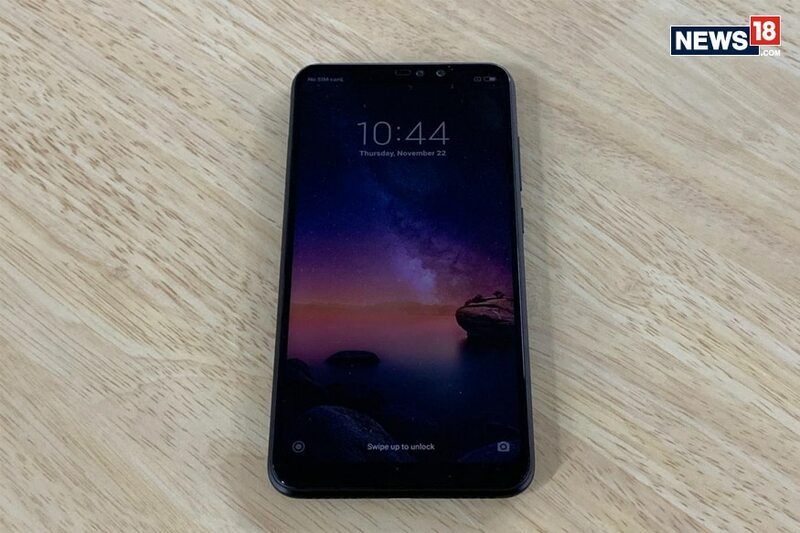 There is a notch cut-out at the top, something that the Redmi Note 5 Pro did not have—but since almost every new phone has a notch, we really cannot hold that against anyone. The display is a tad richer than before, and the extra real estate makes it even better to navigate between apps. There is a very slight reflectiveness if there are annoying overhead lights, but the automatic brightness changes adapt quickly enough. In terms of the hardware, the basics remain the same. Xiaomi continues to use the Qualcomm Snapdragon 636 processor to power the phone. This processor worked brilliantly in the Redmi Note 5 Pro, and that should remain the case with the Redmi Note 6 Pro too. You will be able to choose between 6GB RAM and the 4GB RAM variants. Performance is slick, apps open quickly, multitasking doesn’t slow it down or drain the battery and a spot of gaming doesn’t throw up any red flags either. The Motorola One Power (around Rs15,999) also runs the same processor, and we noticed similarly smooth performance on that phone too. Old is gold, as they say. But this could be a testament to how well Xiaomi have optimized the hardware to work with the software tweaks they have implemented to Android. Xiaomi have updated the MIUI interface too with subtle improvements across the board. It is now called MIUI 10, and perhaps the biggest change are the full-screen gestures. OnePlus has done it with the OxygenOS, Huawei have done it with the EMUI and now Xiaomi have added the option to remove the navigation bar and instead switch to various swipe gestures to go back to the previous screen, close an app, go to the home screen and open the task manager. Whether you like it or not will be completely subjective, but that said, if you do switch to these gestures, rest assured they work smoothly. 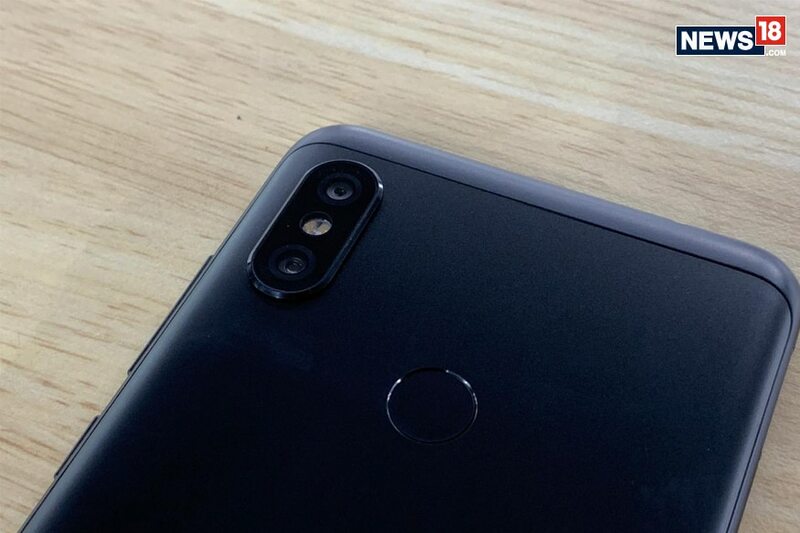 1.4 microns pixel size and f/1.9 aperture) and a 5-megapixel camera (1.12 microns pixel size and f/2.2 aperture) combo at the back, as well as 20-megapixel and 2-megapixel sensors at the front for selfies and video calling. There is also the heavy reliance on artificial intelligence (AI), which Xiaomi says can detect as many as 32 scenes and alter the settings automatically. In our testing, photos with AI turned on looked very good for the most part, and there were no inaccuracies because of aggressive colour boosting or sharpening. The Redmi Note 5 Pro had done fairly well as a camera if you were clicking photos in good lighting but struggled a bit for colour accuracy and detailing if the lighting wasn’t adequate. The fact that the 12-megapixel sensor now has larger pixels helps capture more light, which enhances the overall look of the low-light photos. You still need to manually tap-to-focus from time to time, but the end result is significantly better than before. Daytime photos look rich and vibrant, and definitely better than what most other phones in the same price range can manage. One thing that needs a bit of work is the fact that focus is a tad softer around the edges of the frame, which a bit more noticeable in certain photos. However, the Redmi Note 6 Pro is clearly a step up in terms of photography performance. Not just the new optical hardware, but also the improved image processing is what is having a positive impact. There is updated artificial intelligence (AI) working in the background to understand the frame, the elements in the frame and tweak any settings it needs to automatically. This isn’t a new feature, significantly more expensive phones have also dabbled with the idea—and while these are fun to have and work well most of the time, there are certain photos that you would prefer capturing with these intelligence features turned off. What isn’t broken, doesn’t need to be fixed. Xiaomi have retained the 4,000mAh battery in the Redmi Note 6 Pro. This will easily last you a day with heavy usage, and you’ll not be fretting for the charger to juice it up before heading home after work. In fact, be careful with the brightness and a bit frugal with multi-tasking, and a fully charged phone at 8am today will easily last you till lunchtime tomorrow, before it’ll notify you that you might want to plug in the charger again. Prices of the Redmi Note 6 Pro are still the same as the current market prices of the Redmi Note 5 Pro, even though in the intervening time, currency fluctuations have driven component prices upwards. Credit where it is due, the 4GB+64GB version of the Redmi Note 6 Pro is priced at Rs13,999 (the same variant of the Redmi Note 5 Pro is selling at the same price) while the 6GB+64GB variant is retailing for Rs15,999 (same as the predecessor). All things consistent, it is safe to say that the better camera, the great battery life and the larger screen all make for a fitting succession plan for a very successful phone. It is more of the same, with critical improvements where there was a need for a change.